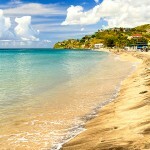 St. Kitts has the best of what the Caribbean has to offer: endless sun, warm, clear water, and white sandy beaches. One quarter of the land on the island has been set aside as a national park, with rainforest that is expanding, rather than contracting. Divers and snorkelers delight at seeing huge swaths of coral teeming with fish of every color, and adventurous souls can climb to the top of dormant volcanoes. 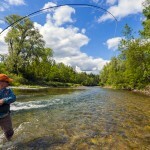 A fisherman’s paradise with cool, clear lakes, rolling, green mountains, and forests stretching to the horizon, visitors can relax and enjoy outdoor recreation in the north woods of Rangeley. Hike the mountains, take a swim, look for moose or even hit the links at this calming destination. Venture into the mountains of Northwest Virginia as you explore the ski resort town of Massanutten. The resort itself offers two golf courses, an indoor water park, a luxurious spa, and family adventure park. Trek farther out and visit vineyards, breweries, Shenandoah Caverns, and Civil War battlefields.